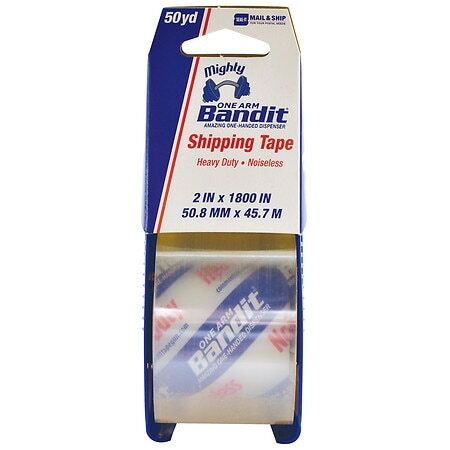 United States Postal Service One Arm Bandit Packing Tape Gun1800.0 in. The most amazing tape gun. To start a new roll, pull the printed layer of tape beyond the blade and behind the tape guides. To cut the tape, gently squeeze the sides of the dispenser (maintain tape tension) and twist your wrist. This will lock the tape onto the tape guides. Tape is now set in the guides and will require only one hand to apply.